Around sixty exhibitors, nurseries and breeders, garden furniture and garden tools specialists – gourmet stands – about the garden – well-being through plants – exhibited their products. Specialist conferences, workshops and artists’ exhibitions to share passion and knowledge. 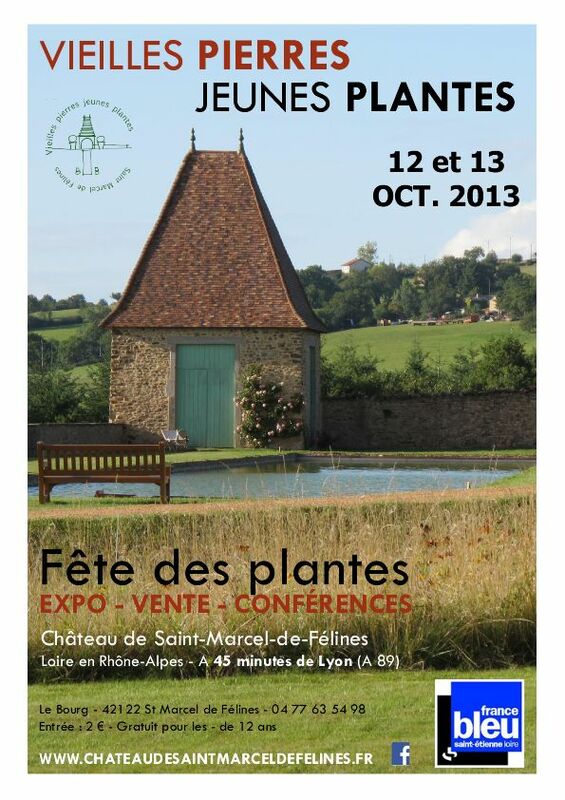 In 2013, the Chervé Agricultural High School in Roanne was a partner of our event. They organised a garden design workshop: students devised garden projects integrating exhibitors’ plants. All the projects were exhibited in the Grand Commun with a list of plants used, simple growing tips and of course the name of the exhibitors where the plants could be found. The aim of this workshop is to offer visitors interesting and original plant associations and a suggestion box in which all can pick ideas. The best project was partly set up in the courtyard. On Saturday evening, a lantern festival with live music, illumination of the canal and garden and the magic of hundreds of lanterns released in the night. Children were not forgotten: a drawing competition and a lantern decoration workshop on Saturday and pony rides on Sunday. Visits of the castle were also organised.